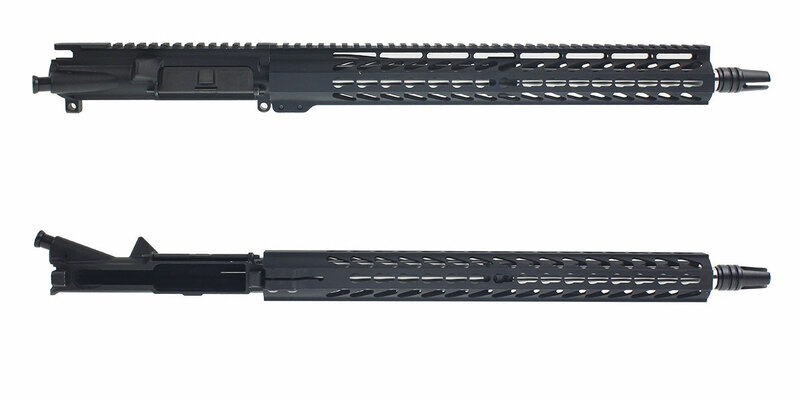 This Build Includes A 16” 7.62x39 Barrel From ELD Performance. 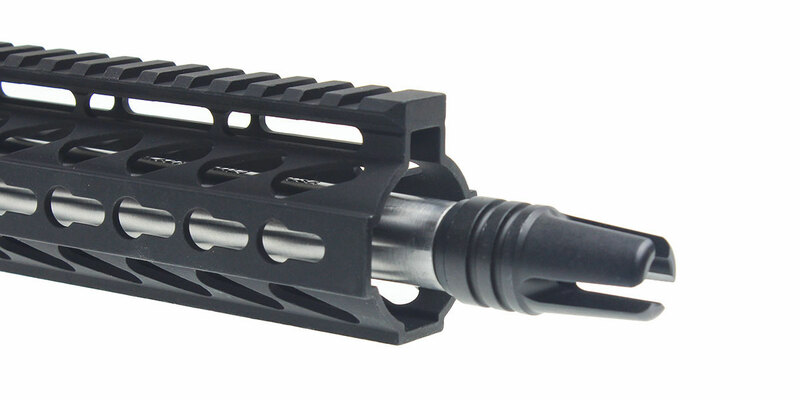 This Heavy Barrel Is Made From 416R Stainless Steel. 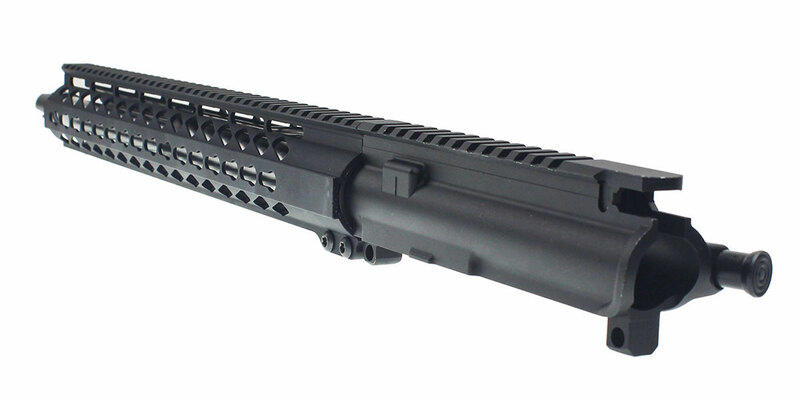 Includes A Carbine Length Gas System And A Thread Pitch Of 5/8x24 With A Twist Rate Of 1-10. 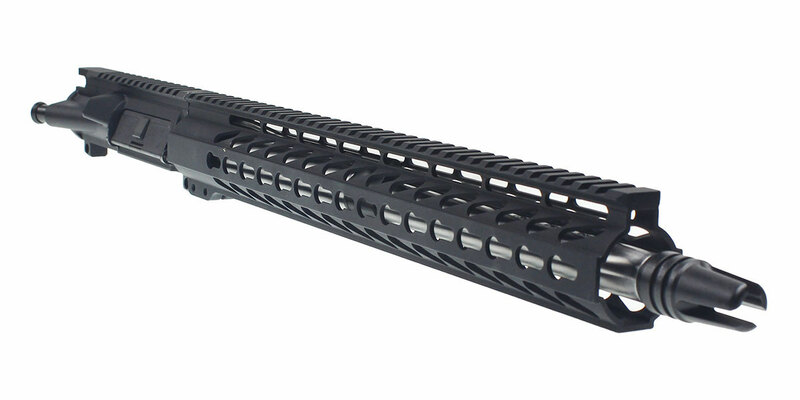 This Build Also Includes A Lakota Ops “Diamond Back” 15” KeyMod Ultra-Lite 6061-T6 Aluminum Slanted Port Handguard with Steel Barrel Nut. 100% Made In The USA. Allows For Detachable Picatinny Rails So You Can Comfortably Grip The Rifle In A Variety Of Shooting Positions & Still Securely Mount Accessories. This Build Includes A Vintage Style A1 Three Prong Compensator From Luth-AR In A 5/8x24 Thread Pitch. Not Only Will This USA Made Muzzle Device Make Your Upper Look Retro & Cool, But It Also Helps Disperse Gasses & Reduce Muzzle Lift.